Sarah: Spoonflower has a huge range of fabrics available for you to print that design of your dreams on – including both woven and knit options. 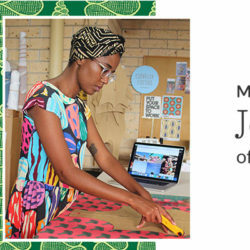 If you’ve never ventured into the world of sewing with knit fabrics, or you need a little bit of guidance – don’t fear! I’m here to help you with my tips and tricks for working with knit fabrics. Let’s start at the very beginning – what exactly are knit fabrics and how are they different from woven fabrics? Imagine a cotton shirt. If you could look right up close to it you would see many tiny threads running both up and down and side to side, weaving over and under each other. There’s not a lot of stretch to the fabric and it’s very flat. Woven fabrics like Kona® Cotton Ultra have threads running up and down and side to side while knit fabrics like Sport Lycra are made from one continuous thread. A knit fabric, in contrast, is stretchy and slightly thicker. Think of your favourite chunky sweater – it stretches in all directions, and the fabric is much denser than that of the cotton shirt. Instead of lots of threads criss-crossing, it’s made from one continuous thread that’s looped back around on itself in rows. The thicker the thread, the thicker the fabric. Knit fabrics you sew with are constructed exactly the same as your sweater, except those little loops are usually on a MUCH smaller scale. So why do we need to treat knit fabrics different than wovens? Because of the way they are constructed, knit fabrics behave differently than woven fabrics – on the cutting mat, through the sewing machine, and even as the finished item. We need to bear all these things in mind when sewing something made from knit fabric, to make sure that the finished item looks and stretches in the way we expect. The seams that we sew in garments made with knit fabrics need to be able to stretch as the fabric stretches with you, otherwise you’re in for a very uncomfortable fit! 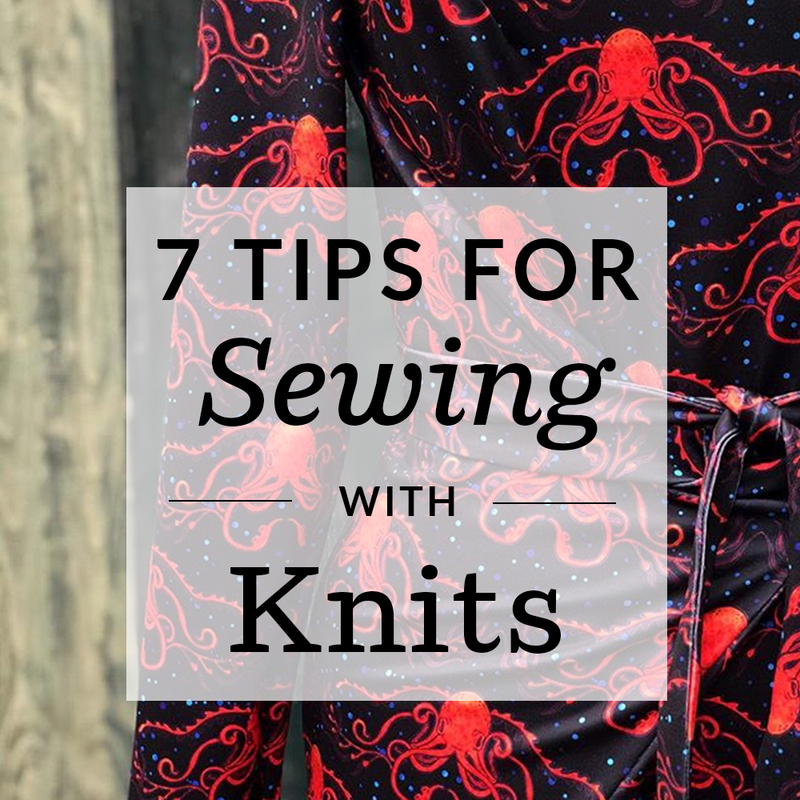 But don’t let this put you off – a few simple changes to your normal sewing routine and you’ll be successfully making comfy knit garments in no time. Here are my top tips! 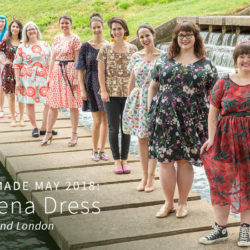 Pro tip: Get right to cutting when you order a Kielo Wrap Dress from Sprout Patterns! 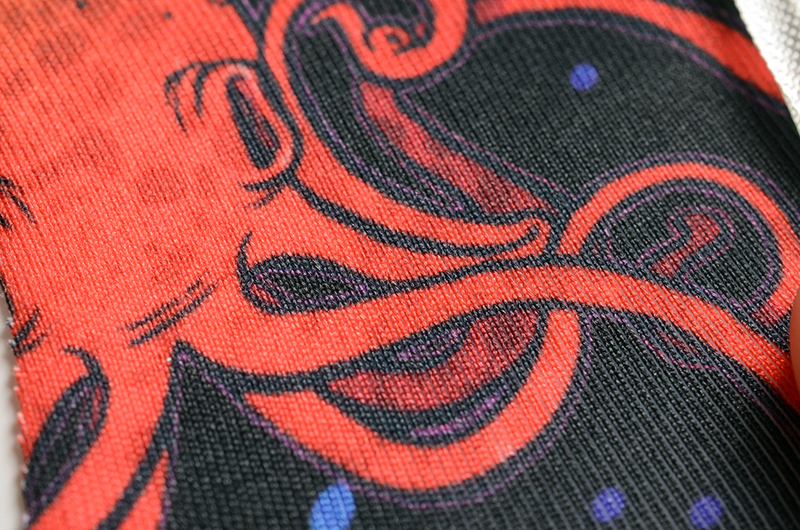 Where the magic happens – those white plastic teeth on the underneath of the foot help slide both layers of fabric. Don’t make the same mistake I did and assume walking foots are just for quilters! They just so happen to be fabulous for sewing knit fabrics too. With a regular sewing machine foot, only the bottom layer of fabric is pushed through the machine through the feed dogs, and the top layer can sometimes ‘drag’ on the underneath of the foot. If you’re sewing a stretchy knit fabric, this can mean that the top layer of fabric is getting stretched and rippled while the bottom layer is running along nicely – and this can give you a very odd wobbly-looking seam. A walking foot feeds both layers through at the same time, thus eliminating any drag of the top layer. Pro Tip: If you don’t have a walking foot (and if your machine allows it) try decreasing the pressure of your presser foot – this will also help prevent dragging. While a serger is not a necessary tool, it can make sewing with knits a bit easier. When used on both woven and knit fabrics, you can sew the seam with your overlocker/serger, and it will chop off the excess seam allowance as you go and encase the raw edges of the fabric for a nice finish. This is especially good for woven fabric which can sometimes fray with wear, but the real bonus of using a serger with knit fabrics is that the seam will stretch. 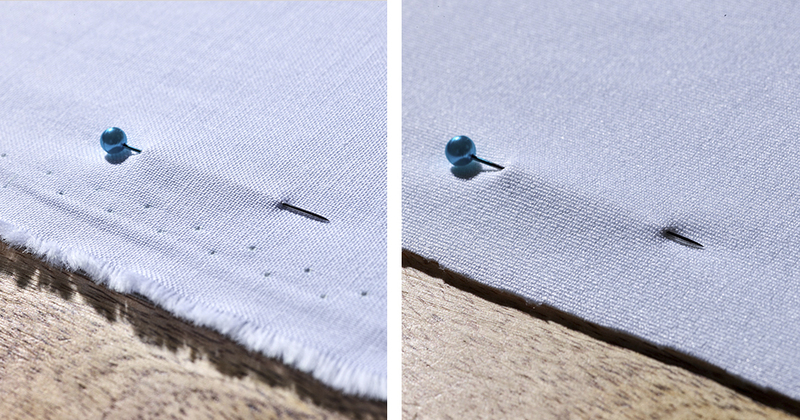 This means that when your garment is stretched, the seam will expand with it and won’t break. 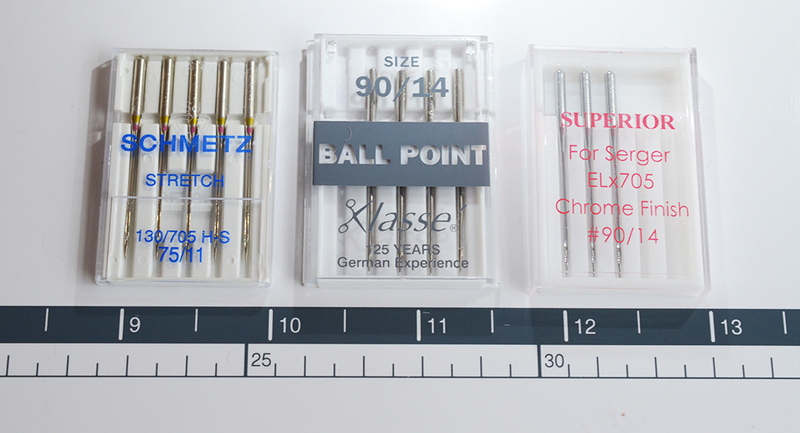 Ball point needles are best for knit fabrics, as opposed to a sharp needle, stretch needle or universal needle. The tip of the needle is smooth and rounded, so it can glide through the knit fibers instead of piercing them. This is important because if you break the thread of a knit fabric, the whole thing could unravel! A regular straight stitch won’t work well if your fabric is stretchy because the finished seam will not stretch with the fabric – when put under pressure, the stitches will rip and the seam will pop open (and nobody wants that…). Don’t panic though – there are some stitches that are available on most regular sewing machines that will do the job if you don’t have a serger. You can use a narrow zig-zag stitch (top in picture), or the ‘lightning’ stitch (middle in picture) if your machine has that option. We all love a nice comfy, stretchy item of clothing, and that can only be achieved with knit fabrics. However you don’t always want the stretch – a stretchy shoulder seam could easily end up heading towards your elbow if it’s not kept in check. 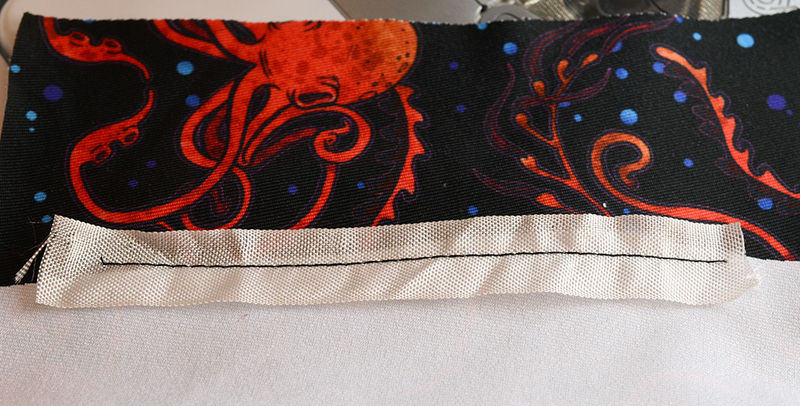 To stabilize the seam, simply sew some non-stretch ribbon or stay-tape into the seam as you sew it. Knits will need to be hemmed differently than wovens because you’ll be needing an element of stretch to the seam. This unfortunately means that a regular straight stitch is off the menu! 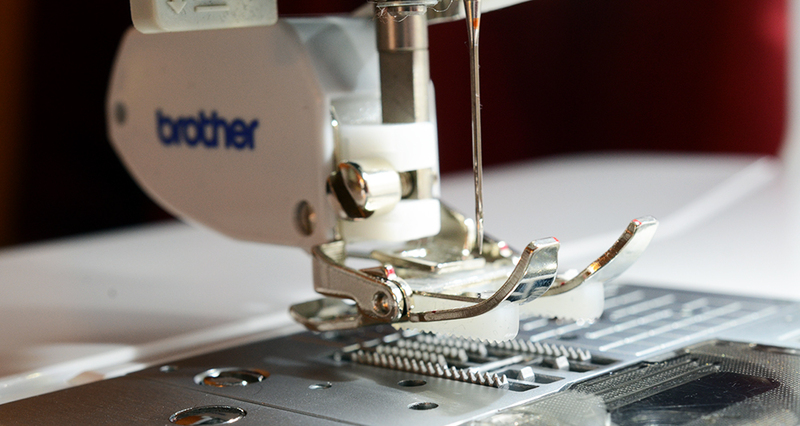 Instead, thread up your machine for a twin needle setup and sew the hem with a straight stitch. It works for cuffs and necklines too! If you don’t have the twin-needle function on your machine, you can use a zig-zag stitch instead. If you bear all of the above in mind, you’ll find that sewing with knits is just as easy as sewing with wovens. Don’t be afraid to dive in — practice makes perfect! 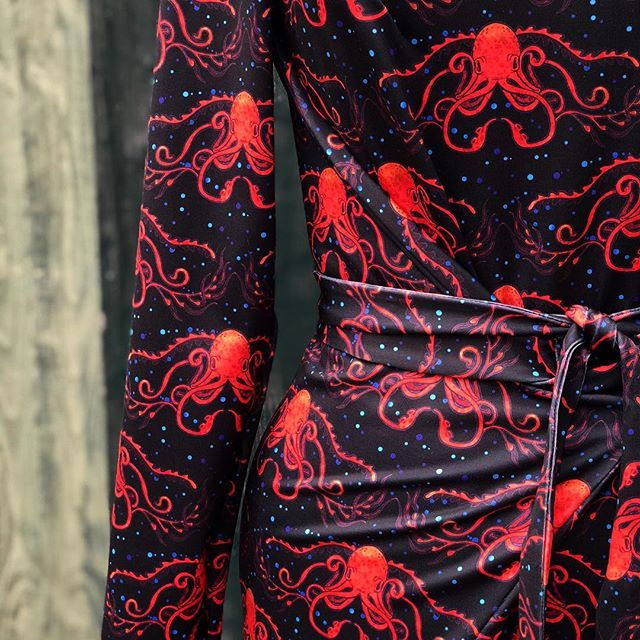 If you’ve been admiring the Sport Lycra I used to show you these tips, head on over to my blog to see the amazing Named Pattern’s Kielo Wrap Dress I made with it! Just like Sarah, a wrap dress is one of our favorite makes and with a little help from Sprout Patterns, sewing one is a breeze! 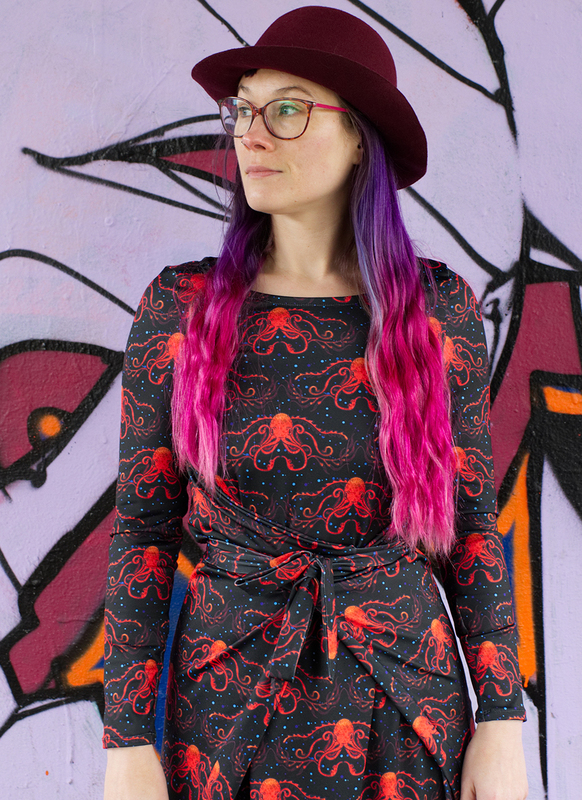 For even more inspiration, see how Spoonflower staffer Meredith has made the Kielo Wrap Dress her go-to dress. 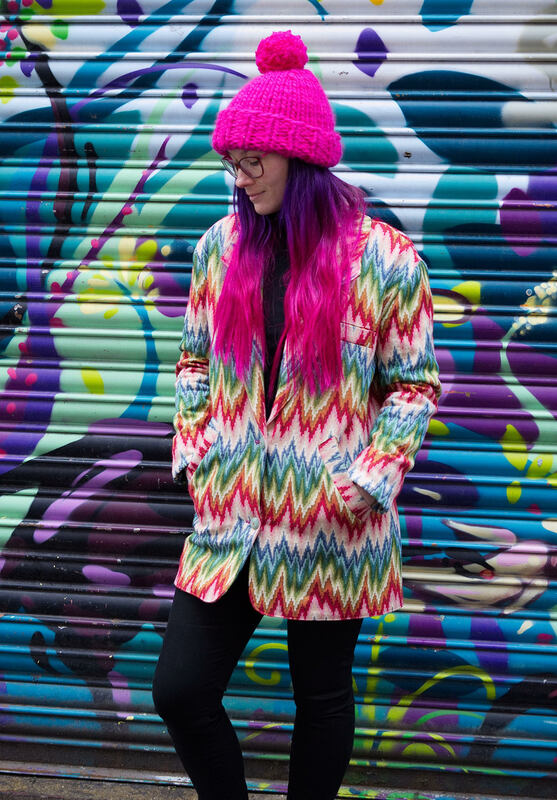 Sarah is a London based pink-and-purple haired sewist with a love for colour and crazy prints. You can follow her adventures with needle and thread over at Wanderstitch! Thanks for all the Tips for sewing with knits. It’s been awhile since I’ve sewn with knits and these tips are a great reminder that not all knits stretch the same. Fabric used for bathing suits should have at least a two way stretch. A long time ago, I made bathing suits and under pants with fabrics are very different. We’re happy to hear you found Sarah’s tips helpful!